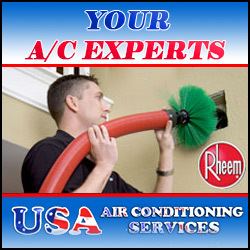 Running an air conditioner in the summer is a luxury in some places and a necessity in others. Whether you need it, or just want it, running an air conditioning system can be the biggest consumer of electricity in your home in summer. Using your air conditioning system correctly, keeping it well maintained and taking some other actions toward saving electricity can help keep this cost to a minimum. There are several kinds of air conditioning systems that are installed in modern homes. Window units, split and packaged systems are the most common. All types of air conditioners should be inspected at least once a year, preferably before they are put into use for the season. Any problems that could reduce efficiency should be fixed before the system is used. A few basic maintenance tasks can go a long way toward safe, efficient operation. If you do it yourself, be sure to turn off the power to the A/C at the breaker box before opening or working on the machine. 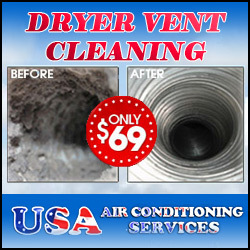 Cleaning the coils with a soft brush and removing dust and debris will make the air conditioner cool more efficiently. Filters should also be checked for dirt build up. Some kinds are washable and others must be replaced. Refer to the owner’s manual, or ask a service technician, if you are unsure about the filter in your unit. Having spare filters on hand can save time and frustration. If the unit is a model that goes through a window or other opening in the wall, check that it is properly sealed all around and tilting outward slightly. If air is leaking around the unit, it will be working harder and costing more. If it is sloping the wrong way, it will not run well and could leak into the room. Check the grooves that lead water out of a window unit , or the condenser pan if you have a split or packaged unit. Water should be draining properly and no leaks should be detected, except where water exits at the drain. If all systems are go, and the air conditioner is well maintained and operating at good efficiency, you can still lower your electric bill in other ways. Keeping the thermostat set at 78º Fahrenheit when you are home and turning the unit off when you are ways are other measures that will cut the power costs. Saving electricity in other ways around the house will also compensate for the increased electricity you need for the air conditioner. By turning off lights and appliances that are not in use and doing laundry at non-peak hours, money can be saved toward cooling costs. Most computers and TVs use power even when they are turned off. To save money on them, plug them in on a power strip and then flip the switch when they are not being used. Having your house insulated and using double glazed windows cuts costs for both heating and cooling. Weather stripping around doors and windows is a smaller job, but can also significantly reduce the need for air conditioning. By maintaining your air conditioner properly, keeping the thermostat turned up a bit and reducing other electrical uses, you can increase summer energy efficiency and keep your house pleasantly cool at the same time.